Semacon S-1200 Series - Technology Unlimited, Inc.Technology Unlimited, Inc. 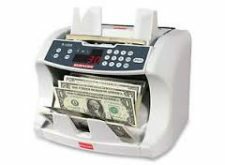 The Semacon S-1200 Series Bank Grade Currency Counters are designed with Semacon’s SmartFeed™ technology for high volume applications and are used by banks, credit unions, casinos, large retailers and other industries all over the world. Our unique SmartCount™ technology ensures the most accurate counts available in a desktop currency counter. These counters feature heavy duty construction, operational flexibility and ease of use. The series offers optional ultraviolet (UV) and magnetic (MG) counterfeit detection.